BELLY - The Rewards Program You & Your Pet Will Love! 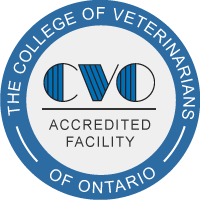 Established in 1999, Blue Mountain Veterinary Services (BMVS) is a modern fully accredited veterinary hospital serving the Blue Mountains, and beyond. Our extensive team of professionals provides preventative care and emergency treatment for companion animals. The BMVS team is dedicated to lifelong learning and we are continually expanding our therapeutic options with the latest veterinary technology and expertise. Our pet hospital has a fully equipped surgery, including surgical laser. Your pet may also benefit from our in-house digital xray, ultrasound, stem cell technology and therapeutic laser. We also have an on-site laboratory, which means same-day test results. Click here to see a gallery of our many friends who visit us from time to time. Enjoy this virtual tour of our modern 4000 square foot hospital, featuring views of our cat and dog examination rooms, surgery, laboratory, diagnostic equipment, treatment and waiting rooms. Our clinic surroundings are meant to provide you and your pets with every advantage of modern technology, within a warm and welcoming environment.